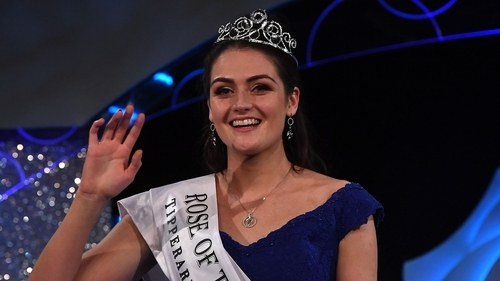 Offaly Rose Jennifer Byrne was crowned the winner of the Rose of Tralee 2017 in The Dome in Kerry on Tuesday night - the first time Offaly has won the title. The 24-year-old junior doctor hails from Clonaderig, Ballinahown in the Faithful County and studied medicine at NUI Galway. She is currently working in the Accident and Emergency department of University College Hospital Galway. 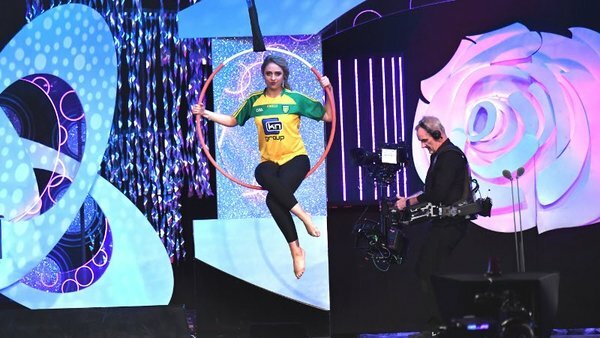 Jennifer triumphed over 31 other finalists from all over the world at the 58th Rose of Tralee Festival - after two nights of gúnas, party pieces, live first aid, acrobatics, and omelette making. "I can just about breathe now, to be honest. I'm absolutely in shock; I don't even know what to say. Everyone here is absolutely remarkable," she said after the 2016 Rose of Tralee, Chicago's Maggie McEldowney, handed over the crown. "The girls are unbelievable and it's an absolute honour for me to be chosen to represent these bunch of girls. And I just hope I do them all really, really proud. I can't believe it." Speaking to RTÉ Entertainment after she was crowned the winner, Jennifer said she wasn't even sure if host Dáithí Ó Sé had called out her name. The newly-crowned Rose of Tralee then paid tribute to the 2016 winner, Chicago Rose Maggie McEldowney. "Maggie is an unbelievable ambassador for the Rose of Tralee and I'll be asking her for a few tips," she said. "I've big boots to fill now but it's fantastic and I can't wait." For her party piece on her Monday night appearance on the show, Jennifer danced an Irish jig. Sport is a big part of Jennifer's life and she has represented Ireland in soccer at U17 and U19 level and at the World University Games. She discussed her passion for soccer and Gaelic games on Monday night. She currently plays with Galway WFC in the Women's National League. Away from the pitch, she has volunteered at Barretstown and in Mpongwe Mission Hospital in Zambia - "a life-changing experience".